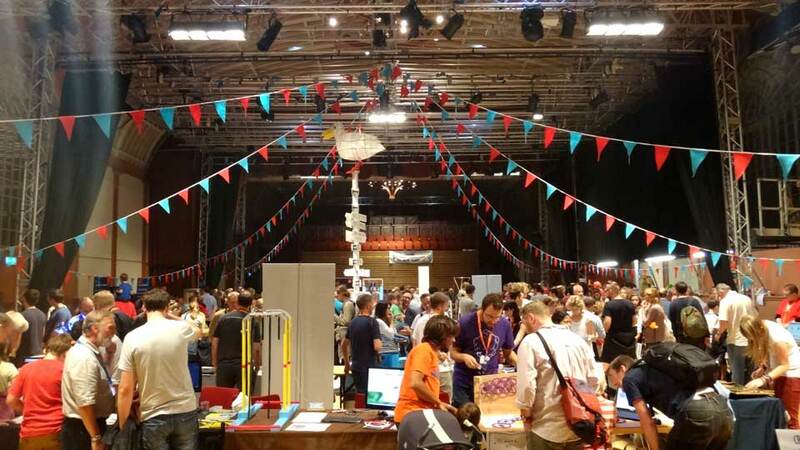 Home › Workshops › Brighton Mini Maker Faire:Aero-Wind-Tunnels, ‘Hot Glue’ Zine and a T-Rex! After a warm reception exhibiting at first Mini Maker Faire at E&C London, I was keen to follow-up with some Design Modelling workshops… luckily Brighton Mini Maker Faire was going to be the first Maker Faire to try running workshops the day after the main exhibition. Always up for working through the night (or a glutton for punishment? 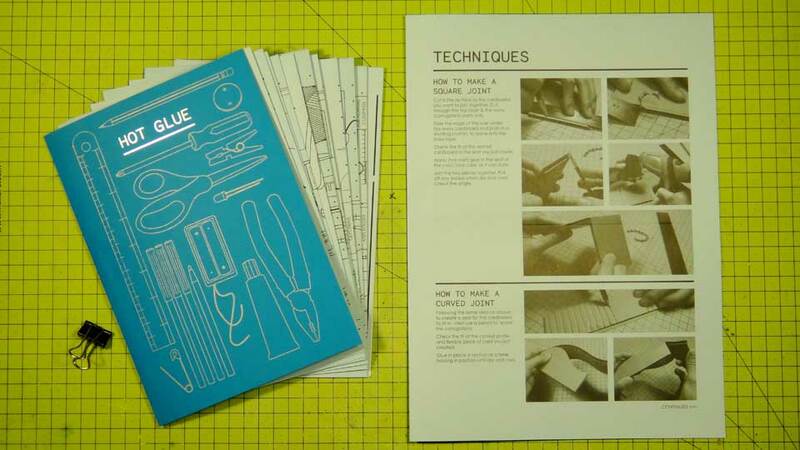 ), Andrew Sleigh worked tirelessly to produce a stunning (and fortunately titled) zine called ‘Hot Glue’. This contained pull-out work-sheets from a whole host of makers running workshops and featured work from sponsors Sugru, Bare Conductive and HowDo. The cover was beautifully hand printed by Emily from Stanley James Press, who designed the zine with funding from Arts Council England. As expected, the crowds to these events have grown year on year and it was pretty much solid all day. 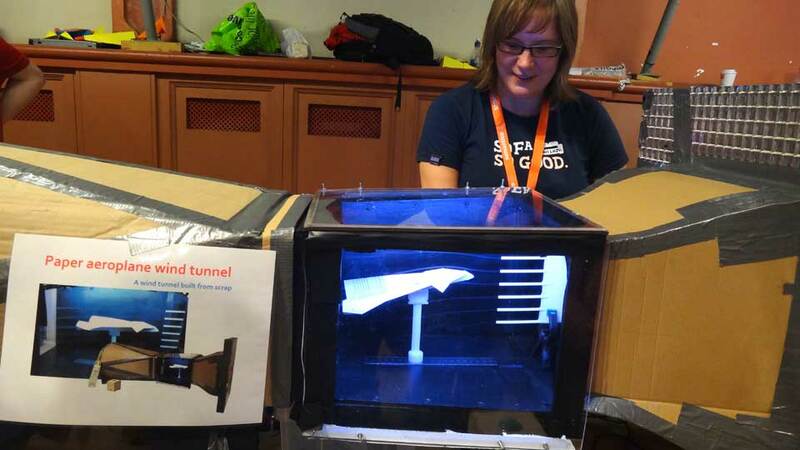 Of course there personal favourites which included a motorised RC cardboard (evil) robot and a remarkably professional-looking aero-wind-tunnel from JellyandMarshMallows – also made using cardboard! 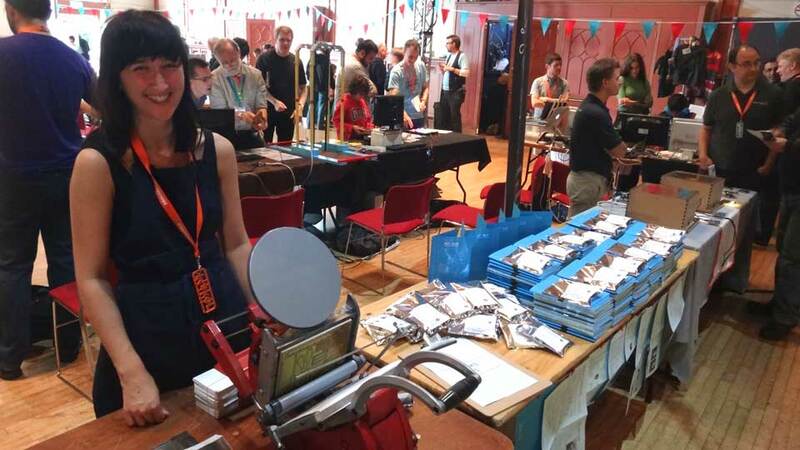 Because of demand, there were 2 Design Modelling workshops, which sold out all but one ticket! Participants ranged from newspaper editors to architects and cake-makers to UI/UX designers… it seems to be an increasingly eclectic bunch of people who are wanting to create cheap and effective prototypes to work through their ideas and to share them with others. I was particularly impressed with the articulating T-Rex jaw… Though we also improved the teeth with some fine cutting techniques afterwards. A great day out! If you’d like to check out more pictures from the event, click here. More Design Modelling workshops will be coming up in the future. Stay tuned on twitter (@Jude_Pullen) but also feel free to request any events as well.